Jaime Bronstein loves surprises. Thus, when her sweetheart, Bryan Olson, planned his proposal, he made quite an adventure of it. Knowing she would be coming home after an early morning meeting, he left a trail of red rose petals that led to a table with a bouquet of flowers and notes, one of which instructed her to pack a bag and put on her favorite dress. Taken aback at first because Bryan was supposed to be out of town, she nonetheless followed directions and headed out the door as the first clue sent her off on a romantic scavenger hunt. 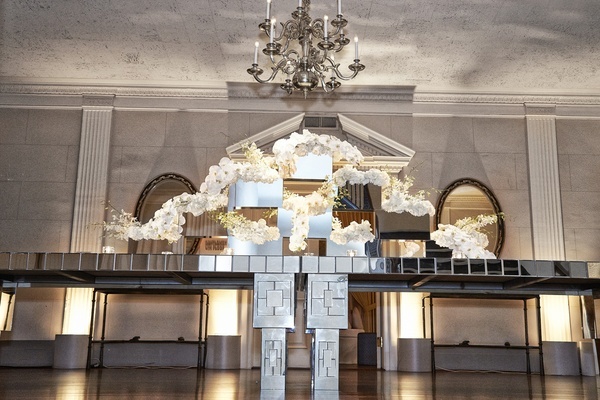 Jaime roamed the city, roller suitcase in tow, collecting long-stemmed roses and cards bearing beautiful written sentiments at various locations, ending at a luxury hotel. 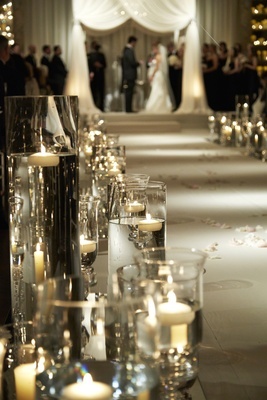 When she arrived, a maître d’ whisked her away to a terrace where the man of her dreams was casually sitting at a table, dressed up in a suit. 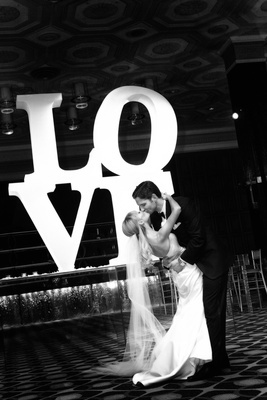 As they hugged and kissed, Jaime noticed that one of her favorite songs was emanating from the loudspeakers. Turns out, Bryan had compiled a CD featuring her favorite tunes and arranged for it to play during the occasion. 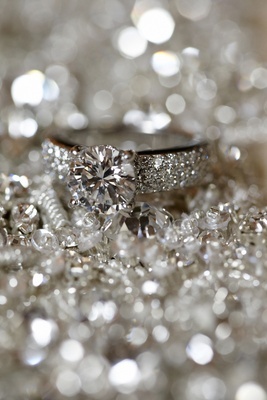 Then, he got down on one knee and with heartfelt words asked her to marry him. 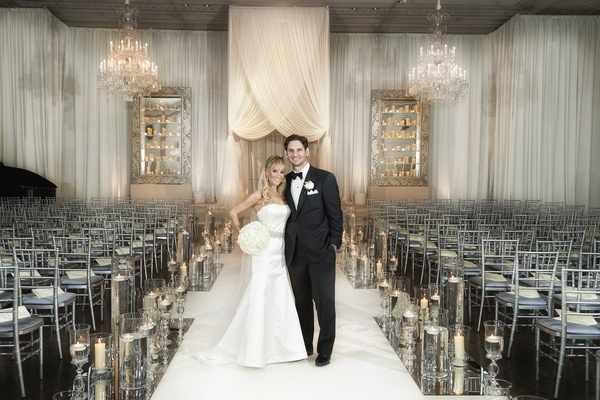 The couple chose a glamorous, timeless private club for their wedding venue. 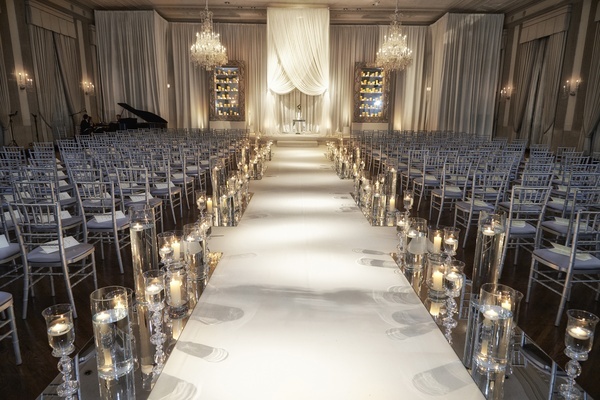 A radiant assortment of glass vessels holding floating and pillar candles, sitting atop mirrored rectangles, illuminated the way to a heavenly chuppah composed of billowy chiffon adorned with rhinestone ties and a crystal chandelier. Two carved shelving units with mirrored backs reflected the soft glow of candles in yellow hurricanes. 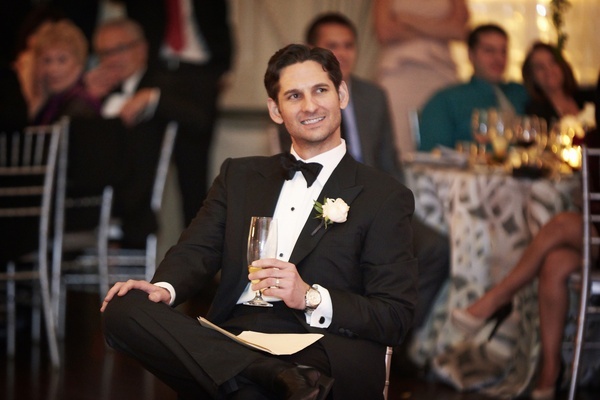 The moment Jaime stepped through the doors and walked down the aisle to “I Will Be Here” by Steven Curtis Chapman was especially memorable for the bride and groom. 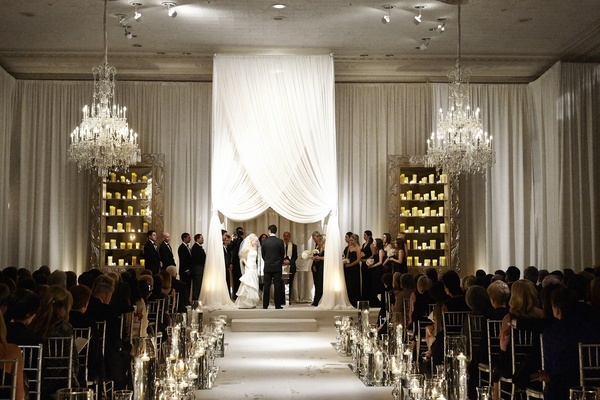 She made her grand entrance in an elegant strapless gown with a chapel train and a tulle veil. 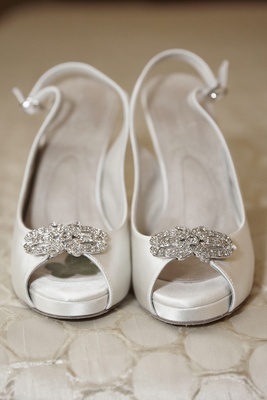 A beaded belt and a pair of dangling diamond earrings, borrowed from her mom, provided sparkling finishing touches. 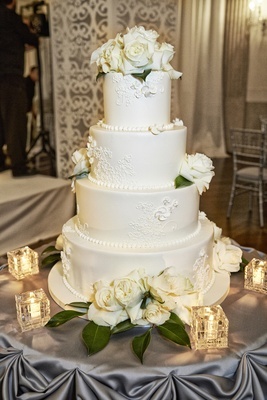 Jaime carried an abundant bouquet of ivory roses, peonies, and pearl-embellished stephanotis blossoms, with a pale pink rose in the center. 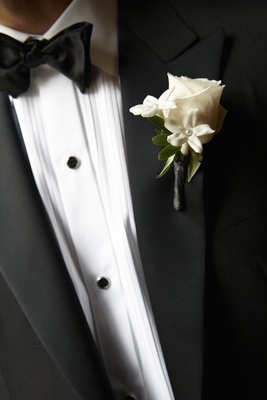 “She was angelic,” muses Bryan, who looked dashing in his black tuxedo. 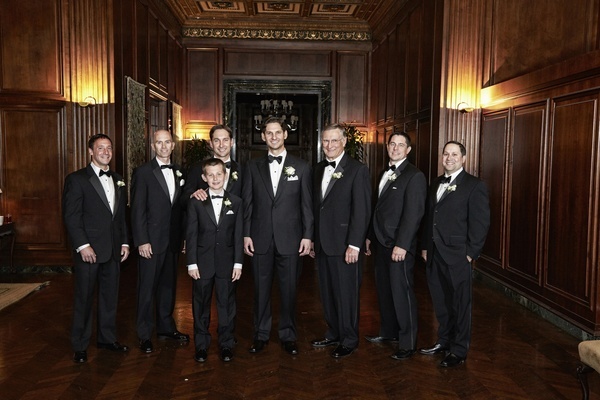 “I had so many emotions at the time, but I remember feeling such a warm and wonderful feeling.” Jaime was similarly overcome at the sight of Bryan and the room full of family and friends. 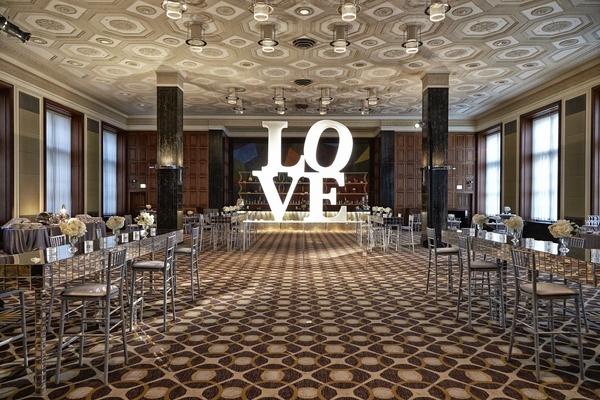 “I have never felt more insurmountable and overwhelming amounts of love than what I felt in that room the night of our wedding,” she affirms. 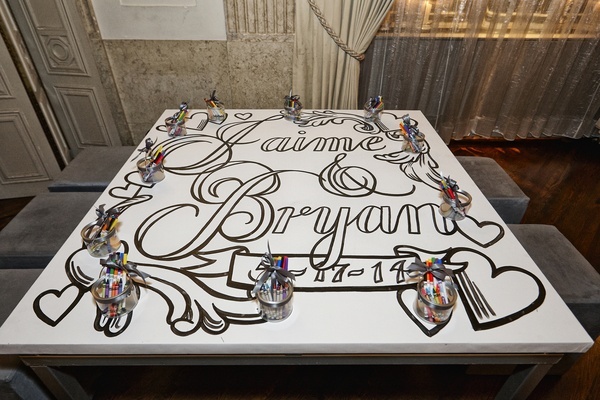 Though it was a Jewish ceremony, the couple incorporated a unity candle to reflect Bryan’s Catholic faith. 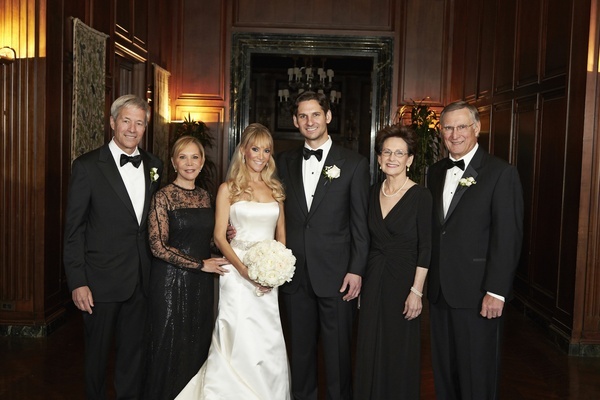 “[It represented] the merging of our lives and our two families into one,” explains the bride. When exchanging wedding bands, they also honored the ancient belief that an artery directly connects the right index finger to the heart. “We first placed the rings on these fingers before placing them on our left ring fingers, symbolically joining our hearts,” says Jaime. During the cocktail hour, guests sampled a variety of mouthwatering appetizers including sushi, lobster rolls, mini burgers, lobster mac and cheese, grilled cheese sandwiches with a mini cup of tomato soup, and ceviche. 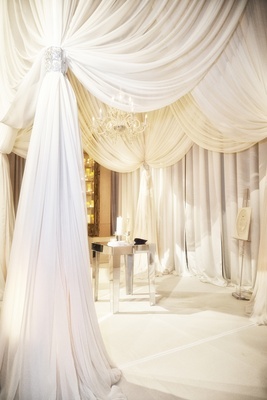 For the reception, Jaime wanted the décor to cast a romantic and ethereal aura, full of flowers and candles. 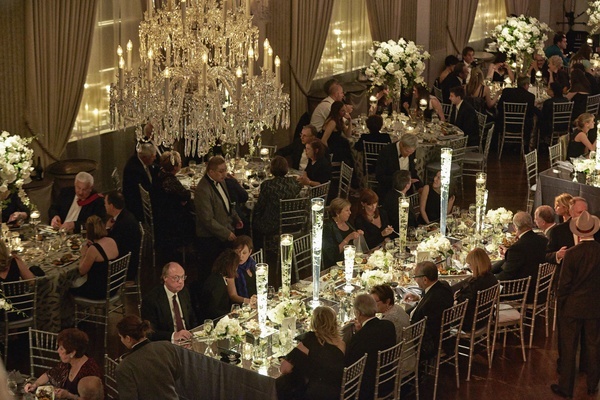 So when attendees entered the ballroom, candlelight radiated from dinner tables, windowsills, and surrounded the band. 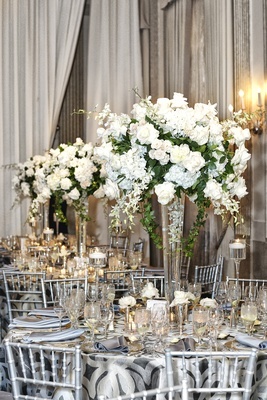 An ivory floral palette, with a sprinkling of pale pink roses and mirror elements, provided a classic counterpoint to the sophisticated silver linens. 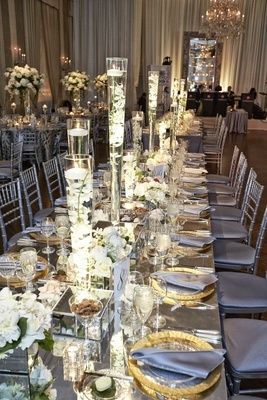 Pilsner vases of varying heights, containing submerged orchid stems and floating candles, were lined along the center of each long table. 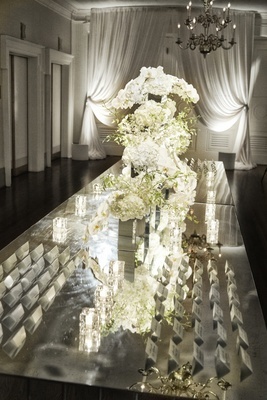 The tall centerpieces adorning round tables were composed of a submerged orchid stem topped with a bevy of roses, hydrangeas, orchids, and camellia foliage. 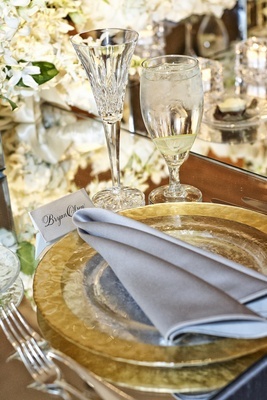 Both designs were accented by blooms in silver bud vases and cubed vessels. 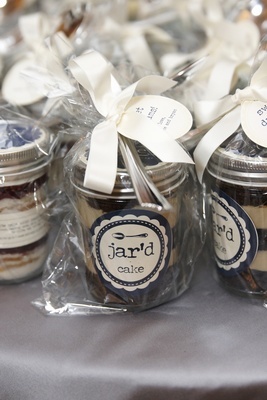 Later, the newlyweds bid guests “sweet dreams!” with cake-in-a-jar favors, offering a choice between chocolate cake with salted caramel filling and white chocolate cake with raspberry filling. Jaime and Bryan also enjoyed these as a delicious snack when they retreated to their hotel room at 2:30AM.